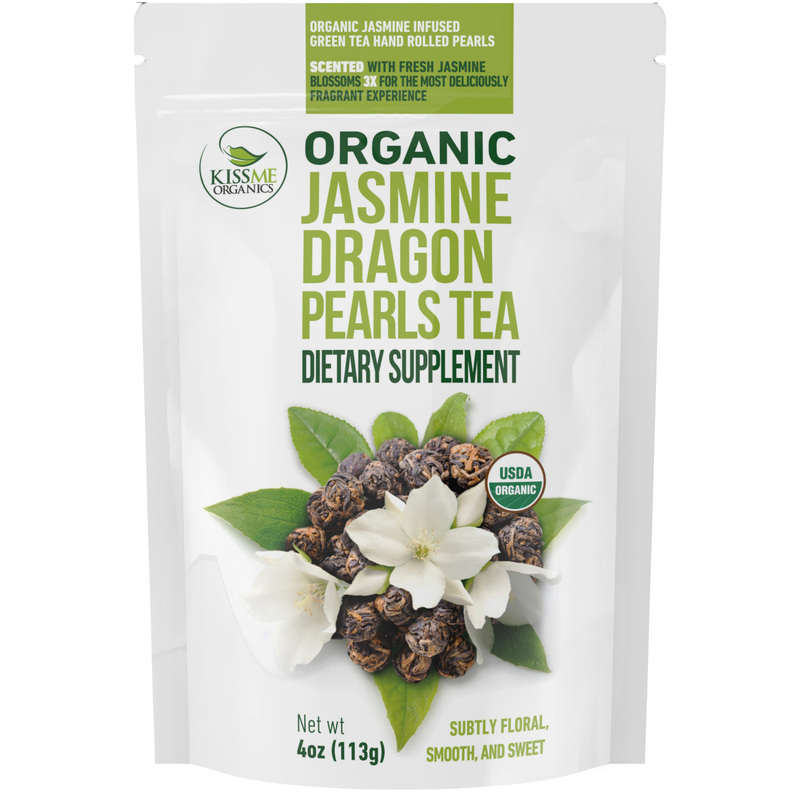 Kiss Me Organics, a company renowned for its premium quality organic teas, is proud to introduce a brand new product, Jasmine Dragon Pearls Tea! 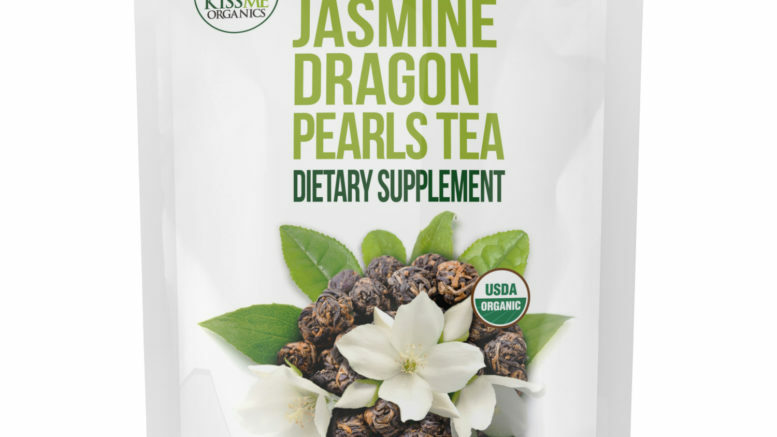 Cheyenne, Wyoming – Kiss Me Organics, a company renowned for its premium quality organic teas, is proud to introduce a brand new product to its inventory, Jasmine Dragon Pearls Tea. Jasmine Dragon Pearls is a special blend of green loose leaf tea, infused with real jasmine flowers to give it a delicious flavor and fragrant aroma. Named ‘Dragon Pearls Tea’ because the tea leaves are rolled into balls (called pearls), the product is already receiving plenty of praise from tea lovers the world over. The health benefits of jasmine green tea are well documented. It contains cancer-fighting antioxidants and is known to reduce blood pressure and cholesterol levels. As with other green teas, it contains catechins that help with weight loss. Jasmine is also particularly effective in relieving stress, and works to calm the mind, decrease the heart rate and improve the digestive system. As with all Kiss Me Organics products, Jasmine Dragon Pearls is required to undergo a lengthy and complex infusion process. It is 100% organic and lab-tested, and all lab results are shared openly with consumers. The company works solely with sustainable, organic farms, and donates a portion of its profits to charity. Be the first to comment on "Kiss Me Organics LLC Introduces New, Exclusive Jasmine Dragon Pearls Tea"